You are here: Cyborg5 Home > CY's Eye on Life > The best $2.69 I’ve ever spent. The best $2.69 I’ve ever spent. This is the 11th in a series of articles about my recent quest to replace a broken VCR in this era of DVDs, DVRs, and other newfangled gadgets. Click here for the beginning of the series. After all that complaining about tunerless VCRs, not only was I able to replace my broken Toshiba VCR in my bedroom with a really nice Sony SLV-D370P DVD/VCR combo, when my JVC VCR in the office failed as well, I was able to get another of those same Sony’s to replace it. I had to get it through a third-party reseller through Amazon.com which is a little bit scary. Since the guy had good feedback I went ahead and ordered it. It came in a couple of days and has worked fine. However there was still a problem using the Sony in the bedroom. 95% of my viewing in the bedroom is while I’m in bed. Handling a remote control in bed is a bit difficult for me. I couldn’t get my very old programmable remote to work the new Sony VCR. Since I have two VCRs in the bedroom and I only need to watch one of them in bed, I decided to swap the new Sony with my older JVC VCR and make the JVC my primary recorder that I use while in bed. Unfortunately this old programmable remote wouldn’t work the JVC either. I was going to have to buy a new remote control. That doesn’t seem like a very big deal. $20 at Best Buy gets you just about any kind of remote you want. However I have to specially adapt the remote so I can use it. I can’t really hold the remote in my hand in a way that it’s pointing at the cable box, VCR, and/or TV. Instead I set it on a shelf and I have some extra push buttons on the end of a long cable that I hold in my hand while in bed. The image on the right shows the two remote controls and the mess of cables leading to a cluster of 11 little switches that I hold in my hand to control the TV, cable box, and VCR. The story of those little micro switches and various remotes and devices I’ve wired with them is a pretty interesting story. So let’s set the time machine for about 25 or so years ago and review my history with rewiring devices with remote buttons. Many years ago the first remote control TV I had in my bedroom only had two buttons on it. The first button was a channel up button. The other button cycled through four different settings. The first click turned it on and set the volume and a fixed high level. Subsequent clicks reduced the volume to medium and low volume settings. A fourth click turned the television off. It was sort of like the settings when you pull the chain on a ceiling fan. There was no channel down or volume up buttons but this was pre-cable so the were only 5 TV channels to cycle through. It used radio control rather than infrared so it didn’t have to be pointed at the TV set. I still had enough strength in my hand in those days to hold the entire remote and push the button with my thumb. Later I got a new TV with a traditional infrared remote with the usual volume up and down, channel up and down etc. buttons. Because it needed to be pointed at the set, I couldn’t find a way to hold it in my hand properly. That was only a minor problem for me. I would simply have my dad rewire the remote with a few small micro switches. Of all the pieces of adaptive equipment I’ve ever used, the one piece of equipment that ounce-for-ounce and dollar-for-dollar has been the most useful gadget I’ve ever had is the “Radio Shack Model Number 275-016 SPDT Micro Switch without Roller” currently selling for $2.69 at Radio Shack’s everywhere. This handy little switch measures just 3/4″ x 1/4″ x 3/8″. The very first one that I used was probably the most important adaptation of a device I’ve ever made. 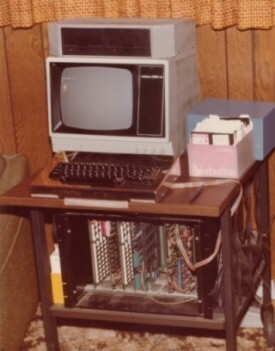 In the winter of 1978 I was working full-time at Indiana University Department of Medical Genetics as a computer programmer. There was a blizzard that winter and we were off work for several days as the city shut down. I had nothing to do for several days except read computer magazine about these new wonderful devices called “personal computers”. As soon as the weather cleared I went right out and bought my first kit to build my own personal computer. 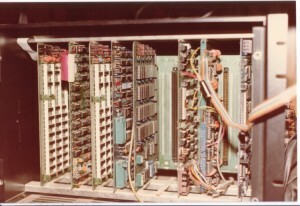 It was a Cromemco Z-2 S100 bus computer with a 4 MHz 8-bit Zylog Z-80 processor and 16k bytes of RAM memory. It was my pride and joy. Initially I used an old 12 inch black-and-white TV as a monitor and audio cassette tape for storage. 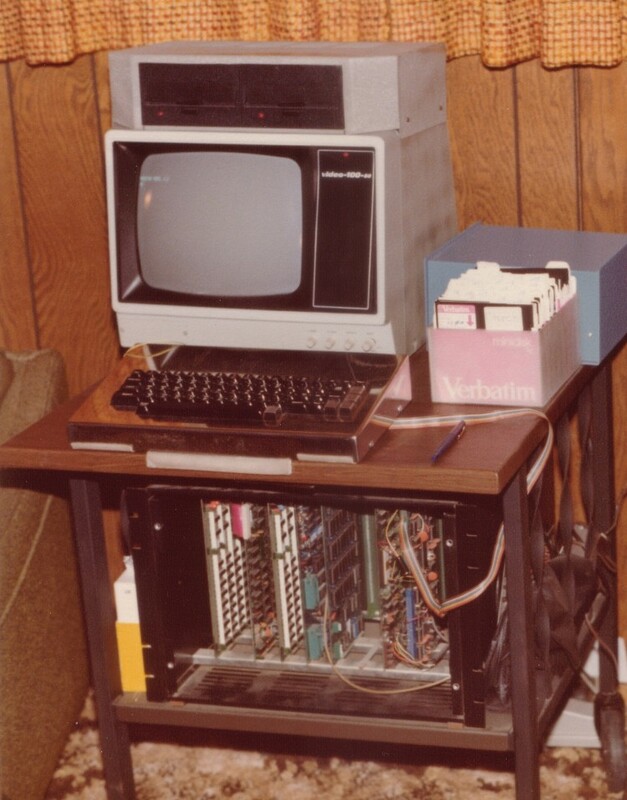 This photo shows it later upgraded with two 5.25 inch floppy drives and 48k of memory. Click on the images for larger versions. At that time I had pretty good use of my hands. Although I couldn’t dress myself or go to the bathroom without help, I could feed myself and most importantly for my career I could type on a regular computer keyboard. I was able to do some of the construction on the kit computer. I soldered many of the circuit boards myself using a small lightweight rechargeable soldering iron. Dad did all of the mechanical assembly. 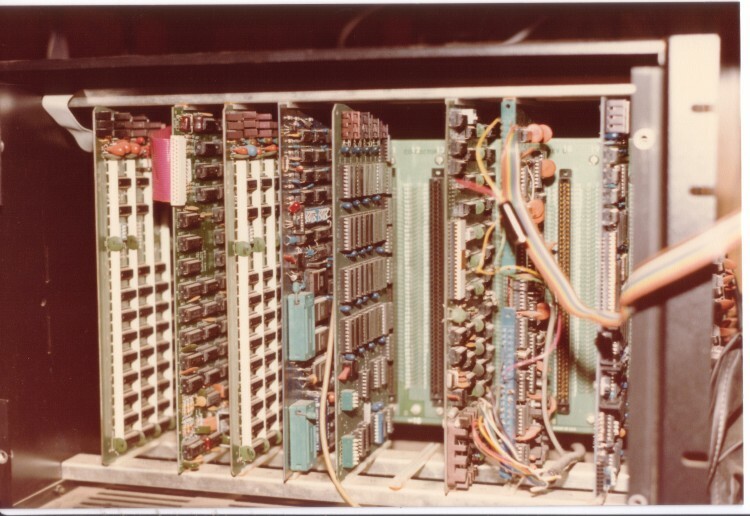 The image below shows a close-up of the S-100 circuit boards some of which I built myself. It wasn’t long after I completed my computer that my disability got worse. Congestive heart failure and deterioration of my muscles from Spinal Muscular Atrophy took its toll on me. I had to quit work and go on disability. The worst part however was as I slowly began to lose the use of my hands. That meant I couldn’t use my computer anymore. The breakthrough came when I realized I could prop the keyboard up on an easel so that the keys were facing me. I discovered I could prop up my right arm, and poke at the keys using a very long pencil. 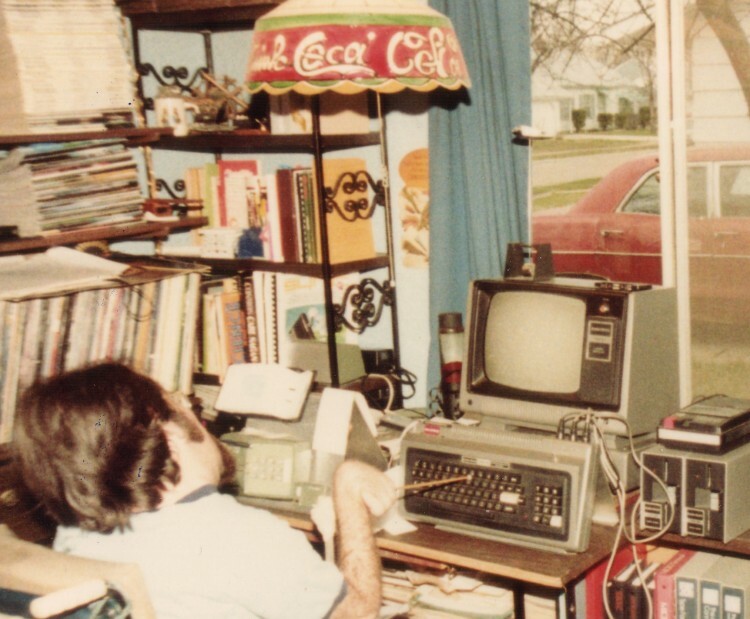 The image below from 1984 shows me (with much more here than I have now) typing on a similarly adapted Radio Shack Model 100 Computer. The real problem was what to do about the “control” and “shift” keys. You can’t hold down those keys and type another key when you’re just poking at the keyboard with a stick. Note that in those days computer keyboards did not have “Alt” keys on them. Some of keyboards I used had a “Shift Lock” key which not only converted to upper case but also turned a number keys into punctuation marks like a real typewriter. Computer keyboards today have only a “Caps Lock” which only affects letter keys so for modern keyboards so not only do I have to worry about “control” but also “shift” and “alt”. e with the stick in my right hand. It worked beautifully! Soon I had Dad wiring these little switches into all sorts of devices. The next one was a $75 electronics stopwatch that I had bought at the Indianapolis Motor Speedway so that I could time the race cars. It took four of the switches to make that work. The stopwatch had various split time and reset buttons in addition to start and stop. That was much more challenging to solder wires into a tiny circuit board in a watch than it was to solder it into a full-size computer keyboard. Dad managed to do it somehow. If I had ruined my computer keyboards or the stopwatch they would’ve been easy enough to replace however my next project was very scary. I had spent $650 on a new video camera. I need to solder in three micro switches to toggle record off and on and to zoom in and out. We managed to take apart the handle of the camera where the switches were in find a place to solder in some wires for my handy micro switches. Fortunately it worked and we didn’t blow up a $650 camera. Various other computer keyboards and gadgets got similar treatment over the years. I can’t begin to remember all things we wired up that way. Eventually they developed some software for MS-DOS that use a special keyboard driver that would turn your “shift”, “control”, and “alt” keys into toggle keys. When Windows was introduced it had this accessibility feature built into it as an option. So I haven’t had to wire a computer keyboard remote in a long time. Most of the rewiring we do these days has been for television remote controls. In the next installment I will explain more about how we go about rewiring remote controls with the switches and the difficulties we encountered this time around. This is the 10th in a series of articles about my recent quest to replace a broken VCR in this era of DVDs, DVRs, and other newfangled gadgets. Click here for the beginning of the series. I think the thing that bothers me most about this tunerless VCR situation is that there wasn’t any warning about this change. On the contrary they said repeatedly “Satellite and cable users have nothing to worry about.” For satellite users that’s pretty much true because everything comes through a satellite box that is already converting your digital satellite signals into something your TV or VCR can use. You typically connect to a satellite box by a composite video cable using red, white, and yellow RCA-style cables. Note however that some satellite systems are setup so that you can share a single satellite box with two or more devices (and presumably one of those could be a VCR). Typically these secondary connections use an RF coaxial cable and analog channels 3 or 4 or sometimes even old-fashioned UHF channels. If you are relying on such a system to connect your satellite box to a VCR and that VCR breaks, you’re going to have a hard time replacing it. However the situation is much more complicated for cable users. When they said “Cable users don’t worry” I always presumed that it also meant that cable services would continue to transmit at least some of their channels via analog cable. For example I get my cable TV from BrightHouse Cable. For example local channel WTHR which is the local NBC affiliate is currently broadcasting in standard definition signal on Channel 13 and its new high-definition signal on digital channel 13.1. Over my cable system the HD version can be received on Channel 713 and the standard definition version is on Channel 12. I presumed that after February 2009 when the station stopped transmitting its older standard definition signal, the cable company would down-convert the HD signal and continue transmitting it on cable Channel 12 so that “If you subscribe to cable or satellite, you have nothing to worry about.” Your old obsolete TV can still be used. If indeed cable services are going to continue to provide analog cable for the foreseeable all future, then the elimination of cable ready VCRs is especially problematic. However some of the people who replied to my question on the AVSForum said that some cable systems are already beginning to phase out analog cable completely! Although internet discussion boards aren’t really 100% reliable sources of information, one of the posters said that Comcast cable in Chicago is already planning to phase out analog cable this summer. That means that the sentence “Cable users have nothing to worry about” really means “analog cable users will have to begin renting digital cable boxes for all of their televisions and VCRs.” There has been a very slow migration of channels from analog to digital but most of them have been relatively unimportant channels. I wouldn’t be surprised if more of th of em moved because, as I said earlier, you can get many more digital channels in the same bandwidth as a single analog channel. However I had no idea that analog cable was on its way out entirely. I have 6 televisions in my home. Two of them have dedicated cable boxes and the other 4 are connected to analog cable. I have 4 VCRs connected to analog cable. If analog cable goes away I don’t think renting 6-8 additional cable boxes is my idea of “cable users have nothing to worry about”. Okay so 6 televisions is extreme but one of those is a little 9 inch set on the kitchen counter that my mom watches while she’s fixing dinner and mom and dad both watch while eating breakfast at the counter. It’s going to be totally impractical to the cable box in the kitchen given all the other appliances and limited counter space there. If analog cable does disappear it’s going to be a real hardship for avid television watchers such as us. I sent a lengthy e-mail to one of the local TV stations to suggest that they cover this issue and encouraged them to ask Comcast and Bright House win and if they were going to discontinue analog cable anytime soon. I’m not gotten any reply from that station. I may try writing to a different reporter or perhaps to the other local TV stations. If I get any response, I will report it here. That basically concludes the story of the disappearing VCR and tuners for now but my struggle to replace my broken VCRs wasn’t over yet even though I had found in older VCR that still had a cable ready tuner. I discovered that my old remote control which I had specially adapted so that I could use it could not be reprogrammed for the new Sony VCR. In my next installment I will begin a lengthy story about adapting my remote controls so I could use this new VCR. This is the ninth in a series of articles about my recent quest to replace a broken VCR in this era of DVDs, DVRs, and other newfangled gadgets. Click here for the beginning of the series. In our previous post, we noticed that the only VCRs or DVD recorders that had tuners were the top-end models which have newer ATSC digital tuners in addition to the older NTSC analog tuners. NTSC stands for “National Television Standards Committee” and it is the standard for all analog television used in the United States and Japan as well as a few other countries. Wikipedia has an extensive article about NTSC. ATSC stands for “Advanced Television Standards Committee” and it is the standard for digital television including the new HDTV standards. Again Wikipdeia has an extensive article about ATSC. On February 19, 2009 all over the air broadcasts using NTSC analog signals will end and only the newer ATSC digital channels will be broadcast. Much of the hype about the conversion to digital has typically said something like “Only people who rely on over the air broadcasts through an antenna have anything to worry about. If you have cable or satellite you have nothing to worry about.” I was beginning to look like that statement wasn’t true at least when it comes to VCRs. I logged into my favorite video support AVSForum.com and asked the question “Are VCRs with tuners ancient history?” Click here to read that thread. The people there confirmed my suspicions that our beloved federal government was to blame. A new ruling which took effect March 1, 2007 said that video equipment imported for sale in US that has an older NTSC TV tuner in it must have a new ATSC to capable of receiving a digital television signals. Here’s a link to CNet.com which has an excellent guide to HDTV and explains the March 1 rule. In general that’s a pretty good rule when it comes to televisions. You would hate to put hundreds of dollars into a television set that was going to be unable to receive broadcasts in less than two years. This is similar to a previous rule regarding UHF tuners that were mandated to become standard on TVs back in the early 1960s as I described in a previous blog entry. The loophole in this regulation is that if a device has no tuner at all, then the regulation doesn’t apply. For several years now they’ve been selling HDTV’s that did not have the new ATSC tuners. The industry has been very good at warning consumers that these less expensive HDTV’s require some sort of external source of HD content such as a cable box, satellite boxes, or external tuner of some kind. Note however most of these so-called HD monitors have traditionally also had regular cable ready NTSC tuners for standard over-the-air television and analog cable reception. The fact that after March 1, 2007 these lesser expensive models would drop the NTSC tuner probably isn’t that big a deal assuming they keep doing a reasonable job of warning customers about the limitation. As I explained before, they are doing a really terrible job of warning of public that the VCRs are completely tunerless. I did some more research on a couple of those models of VCR/DVD recorders which had newer ATSC tuners. They were about $100 more than a comparable unit without a tuner. One thing I could not determine in every case was if they still have older NTSC tuners. Just because you have a new digital tuner doesn’t mean you can still tune to the older channels. In our next installment we will see that the situation may affect more than just your VCR use. Cable and satellite subscribers may have more to worry about than you think! Where oh where did the tuners go? This is the eighth in a series of articles about my recent quest to replace a broken VCR in this era of DVDs, DVRs, and other newfangled gadgets. Click here for the beginning of the series. Just because I had difficulty finding a cable ready VCR that was the brand and style that I wanted, doesn’t mean that VCRs with tuners are really disappearing. So I decided to do a little survey of my own. On July 9, 2007 I visited web sites for the three major consumer-electronics retailer’s here in Indianapolis: HHGregg.com, BestBuy.com, and CircuitCity.com. The results can be seen in a table by clicking on this link. H.H.Gregg did a pretty good job of being honest about which VCRs had tuners and which did not. 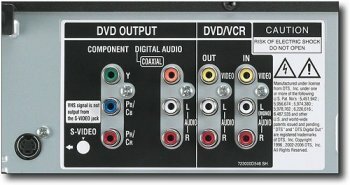 On Best Buy’s web site they generally had images of the back of the VCR so you could tell whether or not it had coaxial RF cable inputs and outputs or just RCA jacks. CircuitCity.com generally has pretty good information with lots of really good user reviews but this time they had the least information of all. In some cases on particular models I had to go to the manufacturer’s web site and even then in a couple of cases I had to download and Adobe PDF file user manual to find out if it had a tuner or not. One clever manual author suggested that if you needed a tuner for your VCR that you could hook your new VCR to an old VCR using AV cables and use your programmable tuner in the old VCR to record programs. Pretty clever idea and one that I may use myself someday but of course that resumes you still have an old VCR that works! Although some of the models clearly were described as “tunerless”, one of the greatest bad euphemisms I’ve heard in a long time was one of the models which was described by the manufacturer as “tuner ready”. Apparently it meant that it was ready to be hooked up to in external tuner. That borders on deceptive advertising because it could be implied that it was ready to go with its own tuner. I laughed out loud when I read that one. You will notice that the only VCRs that I found that had tuners in them had newer digital ATSC tuners. That was my clue that led me to discover the reason why the older tuners are being phased out. In our next installment we will explain the difference between NTSC and ATSC and how the federal government is the culprit behind the disappearing tuners. This is the seventh in a series of articles about my recent quest to replace a broken VCR in this era of DVDs, DVRs, and other newfangled gadgets. Click here for the beginning of the series. For many, many years it’s been relatively easy to connect TVs and VCRs to cable systems. The cable simply comes in from the wall, goes into the VCR, comes out of the VCR, and goes into the television. If you wanted a slightly better picture quality out of your VCR you could also connect AV cables from the VCR to the television. These consist of a set of three red, white, and yellow RCA-style cables that transmit video on yellow and left and right audio on white and red cables respectively. In fact that you have a stereo VCR and a stereo television, these AV cables were the only way you can get to stereo sound out of your VCR. Although the cable signals coming from the cable company have stereo audio in most cases, and the VCR tuner is capable of decoding a stereo audio signal and recording in stereo. The Channel 3 or Channel 4 output of VCR does not output stereo audio to your television. Many people don’t realize that but they don’t seem to notice. Over the years the number of cable channels increased dramatically. At one point Time Warner cable had channels all the way into the low 90s but in more recent years these analog cable channels only reach up to Channel 74 and then skip to 98, 99 on our system. As our cabin in Brown County, the cable system we use only goes up to about 48 and then skips to 98, 99. Because the capabilities of analog cable had been maximized, the cable companies have come up with a new system to add more channels and more features such as pay-per-view and video on demand as well as onscreen channel guides. They achieve these additional channels and features using what is called “digital cable”. Again we now needed some sort of cable converter box. Fortunately a modern cable box has a remote-controlled electronic tuner and tons of features. The modern digital cable box is actually a small computer connected to the cable company on a computer network that runs through the cable lines. It’s sort of like a closed internet system. Each cable box has an IP address just like the computers on the internet. Information travels both ways along the network. The cable company sends information to your cable box and the cable box can send information back to the cable company. This facilitates such features as pay-per-view and on demand viewing. The cable company can even upgrade the software in the cable box to add new features in the future. Channel numbers starting at 100 and upwards are not transmitted using traditional analog television signals. Rather they are transmitted as computer information stored in compressed digital form. They can transmit many more channels using the same amount of bandwidth if they are transmitted in this digital form. As many as six digital channels can be transmitted using the same bandwidth as a single analog channel. The real problem is that your so-called cable ready TVs and VCRs can no longer directly access these channels. Most of your premium channels such as HBO, Showtime, Cinemax as well as some of the more obscure cable channels have all been moved into these digital channel numbers. But for the most part the most popular basic cable channels are still in the 2-99 range that are accessible from cable ready TVs and VCRs. These include all of your broadcast channels which are retransmitted through the cable, ESPN, ESPN2, all the cable news stations, history, discovery, TBS, TNT etc. A typical hookup for one of the systems is as follows: the cable comes in from the wall and goes into a RF splitter. One of the outputs of the splitter goes to the cable box. The other output goes to your VCR. Your cable box is then connected to your television using red, white, yellow AV cables although some people use a short RF cable. Note that using an RF cable to connect your cable box to your TV means you do not get stereo audio. Also you connect the output of your VCR to another AV input on your TV. If you have a three-way cable splitter you can also connect a third RF connector directly to your TV which gives you even more capabilities. Given this set up, you can simultaneously watch any cable channel through the cable box and record any analog cable channel to your VCR. Or alternatively you can use your VCR to record a digital channel through the cable box and watch and analog channel on your TV. The only thing you can not do is record one digital channel while watching a different digital channel. For many years I had a cable box in the living room and in my bedroom. If I desperately needed to record two digital shows at the same time I could record one of them in the living room and one of them in the bedroom. This limitation of satellite and the expanded capabilities of analog cable are the main reasons I’ve always had cable rather than satellite. The consumer-electronics industry realized that it had innovated its way away from one of its greatest interventions: the cable ready tuner. They convinced the cable industry to come up with a new system called a “Cable Card”. Newer top-of-the-line HDTV’s have been made with a slot where you can insert small electronic card about the size of a credit card. You rent this card from your cable company for about $1 a month. It allows your television to receive all of the digital and analog channels that your cable system uses. With such a card, you would no longer need a cable box and your television would once again be cable ready. Recall that I said cable boxes actually have two-way communication between you and the cable company. Such two-way communication is necessary for the onscreen guide, pay-per-view and on demand services. Unfortunately the cable card system is only a one-way system so the advantages of these features are not available if you have just a cable card. I never used pay-per-view and have rarely used on demand services but I would really miss the onscreen cable guide. My HDTV in the living room has a cable card slot but I still use my regular cable box anyway. I’ve never seen a VCR or DVD recorder that is cable card ready although I have read that some DVR/TiVo recorders may have cable card slots. In fact if your DVR needs to record two shows at once it actually needs two cable cards. The latest TiVo model HD DVR has two cable card slots. The cable industry is still arguing over standards for a more useful two-way cable card system. So if we ever get full cable ready TVs with a second-generation cable card, it’s going to be a long way off. One of the problems is that the cable industry can charge you more for the rental of a cable box than they can charge for a cable card. They can also customize their features more easily in a cable box. Although they want happy customers who can easily use their service it is not completely in their best interest to adopt cable card technology. Given that the cable card system really isn’t as functional as it could be and given the increased flexibility provided by cable ready tuners in TVs and VCRs, you would think that the consumer-electronics industry would want to keep cable ready tuners available in TVs and VCRs for the foreseeable future. same thing holds true for DVD recorders and digital hard drive recorders such as TiVo and DVRs. Cable ready tuners are disappearing from these devices as well. In our next installment we will try to determine if this absence of tuners is a limited thing overly widespread and we will try to discover the reasons why it is occurring. This is the sixth in a series of articles about my recent quest to replace a broken VCR in this era of DVDs, DVRs, and other newfangled gadgets. Click here for the beginning of the series. When cable TV systems first came along, they typically transmitted about 30 channels of television through the cable. In order to receive these stations, you needed a cable box. The first cable box we had was about the size of a book. It had a slider switch with about 30-some positions on it numbered 2 up to 40 I believe. The cable was a coaxial RF cable just like you would use to connect a roof antenna to your TV. It would come from the telephone pole at the back of your house into your home. From there it generally went through the attic, down the wall and exited out a small plate in your wall. You would connect that to the cable box and another coaxial RF cable would connect the cable box to the antenna connector on your TV set. You would set your TV on channel 3 or channel 4. Because Channel 4 was already occupied in this area we always used Channel 3 for connecting external devices such as cable boxes or VCRs. You would then position a slider lever on whatever channel you wanted to watch. There was also a small thumbwheel on one side that you would use as a fine-tuning wheel because the mechanical tuner did not accurately select the proper frequencies. There was no remote-control capability. The slider box generally had a very long cord on it that you have to route behind some furniture or drape across your living room floor where you would trip over it. You would think that if you already had a TV that could tune channels 2-83 that you wouldn’t need an external tuner to get channels 2-40. The problem is that cable TV systems use different frequencies than broadcast TV. Keep in mind when I said earlier that a channel number is NOT like the frequency on a radio dial. If you turn your FM dial to 93.1, that is an actual frequency in megahertz. The number of a TV channel has no mathematical relationship to the actual frequency used. They could have designed radio with channels and said that for example radio channel 17 would be assigned to specific frequency like 93.1 but that’s not how radio was designed. Television was indeed designed that way. The channel numbers are just arbitrary positions along a frequency spectrum. It’s difficult to get UHF frequencies to travel along a cable. VHF frequencies travel much better. In cable TV systems, channels 2-13 are identical to the broadcast VHF channel frequencies. If all you wanted to watch on cable TV was channels 2-13, you could simply plug the cable directly into an older TV set and it worked just fine. Cable channels 14 and higher are a completely different set of VHF frequencies that are lower than UHF frequencies. Also I mentioned that there is a gap between channels 6 and 7. Some cable TV systems put as many as five different channels in frequencies in that gap. One early alternative to the cable tuner box was a gadget called a “block converter”. It was a little electronic device you could buy at TV/video stores. It would convert VHF cable channels 14 and upwards into UHF frequencies. You can then use the UHF tuner on your TV or VCR to access all of the cable channels. The problem was the block converter was only good up to about channel 35 or 36. In the early days of cable, Comcast only had about that many channels but Time Warner cable (which is now called Bright House cable) had about 40 channels so the upper few channels with a block converter didn’t work very well with Time Warner systems. Eventually they began producing TVs and VCRs which were advertised as “cable ready”. These were remote-control TVs and VCRs with electronic (non-mechanical) tuners that would precisely tune the proper frequencies for not only VHF and UHF broadcast channels but most if not all VHF cable channels. Initially they advertised them as “108 channels cable ready” or perhaps 109. Various cable systems throughout the country use different sets of channels and not all “cable ready” devices worked with all cable systems. Eventually TVs and VCRs which had 127 channel cable ready tuners were created and they worked with all cable systems in existence. For those of us who struggled through the eras of clunky mechanical channel changers, fine-tuning dials, UHF tuner dials, mechanical slider cable boxes with no remote, block converters that barely worked and God knows what other hassles… the introduction of the truly cable ready tuner in TVs and VCRs was an absolute godsend! In the next installment we will see how the introduction of digital cable messed things up for those of us who really love our cable ready devices. This is the fifth in a series of articles about my recent quest to replace a broken VCR in this era of DVDs, DVRs, and other newfangled gadgets. Click here for the beginning of the series. Before we go exploring the mystery of the disappearing tuners in VCRs let’s take a look back at how cable ready tuners came into being and why they were such an important development. TV signals are just radio waves that travel through the air like regular radio. Such signals are often called RF signals (radio frequency). In television, the RF signals not only contain audio information, they also contain video information as well. The tuner on a television set could be a smooth turning dial with frequency numbers on it just like a radio receiver. However to simplify things they picked specific frequencies and assigned them channel numbers. Originally only numbers 2-13 were defined. These are known as VHF frequencies (very high frequencies). It wasn’t until 1952 that the FCC designated additional channels 14-83 called UHF (ultra high frequency) channels. In the early 1980s channels 70-83 were reassigned to wireless phones. Click here for a Wikipdeia article about UHF broadcasting. Early televisions had only VHF tuners which were a clunky dial that snapped into place from one channel to the next. Because this mechanical dial didn’t always hit the frequency exactly, you usually had another dial that you could turn back and forth smoothly that was called “fine-tuning”. It would adjust the frequency of the RF receiver in your TV set. In order to get UHF channels, typically would turn your VHF dial to a position “U” and then turned a smooth turning UHF dial to tune a UHF channel. Some UHF dials actually had fixed positions for each channel that would click into place but most simply had a smooth turning dial like a radio dial. In 1962 the federal government mandated that all new television sets have a UHF tuner by 1964. The argument was that it was unfair to license a television station to broadcasts on a frequency that no one was able to receive. There are those that argue that this saved UHF stations but there are others who argue that initially cost consumers millions of dollars for TV tuners but most of them did not really need. When I was growing up we only had four channels here in Indianapolis. Channel 13 was the ABC affiliate. Channel 8 was the local CBS channel. Channel 6 broadcast NBC and Channel 4 was an independent channel from Bloomington. (No that is not a typo… at one point Channel 13 and 6 swapped affiliations to the current state of affairs where 13 is NBC and 6 is ABC). Eventually a local PBS station began broadcasting on UHF Channel 20. It’s much more recently that religious broadcasting began using Channel 40 and a local Fox network affiliate was established on Channel 59. As I explained in a previous post, my first VCR had about a dozen individual tiny tuner dials that you would tune to specific channels using a small thumbwheel. There was also a small three position toggle switch to select lower VHF, higher VHF, or UHF channel ranges. If you drew a frequency graph and plotted the channel numbers on it you would see there is a large gap of frequencies between VHF channels 6 and 7. That is why the VHF channels were split into low and high ranges. Eventually mechanical tuners and dial tuners were replaced by more modern electronic tuners that were much more compatible with remote controls. Early remote control TVs actually had a motor which turned the TV dial for you. Electronic tuners had no moving parts and were able to select frequencies precisely so a fine-tuning dial wasn’t necessary. For this brief era, everything was just fine. That is until cable TV came along and missed everything up! In our next installment, we will discuss the chaos that came with the introduction of cable TV. Where do I put the cable? This is the fourth in a series of articles about my recent quest to replace a broken VCR in this era of DVDs, DVRs, and other newfangled gadgets. Click here for the beginning of the series. As I mentioned earlier, my Toshiba VCR is probably my favorite. I really wanted to replace it with another Toshiba model. I went to BestBuy.com and HHGregg.com and eventually picked out a Toshiba model SD-V295 DVD/VCR combo that looked a lot like my existing Toshiba VCR with a DVD stuck on the side (image on right). They generally don’t have VCRs on display in the store where you can play with them or checkout features, so I just sent my dad over to H.H.Gregg to pick it up and bring it home. We took it out of the box and I looked at the back of unit. Here’s what I saw… or rather what I didn’t see! I did not see any coaxial RF connectors! It meant that this VCR had no tuner. It would only work if you connected it to a cable box or satellite box. I couldn’t believe it! I usually look at the online photos, especially the detailed photos of the back like the one I’ve shown here. I think that I may have actually looked at this image at BestBuy.com to verify that the component video outputs were for the DVD portion only which was as I expected. I just didn’t realize that there was no cable connector for connecting analog cable or antenna. I did a lot of head scratching trying to figure out if I could make it work with my set up. Eventually I concluded that I would lose too much functionality by giving up the ability to record from analog cable. I searched around a little bit more and found a really nice Sony SLV-D 370P DVD/VCR combo. I very carefully looked at the images of the back side and verified it really did have an RF coax input and output. We packed up the Toshiba, returned it, and purchased the Sony. It’s a really nice looking model with good features and all of the right connectors. All of this occurred in mid-April 2007. There’s more to this story but I want to jump in briefly to early July 2007. The JVC VCR in my office started acting flaky. It takes about four attempts to get a tape to insert properly. It keeps trying to eject it and the VCR or even turn on at all without a tape in it. When you turn it on, it tries to load the tape on the heads and when there is no tape in the machine something jams and the machine shuts itself off. Since I’ve been having pretty good luck with my new Sony I decided to get another one for the office. Much to my surprise it wasn’t available anymore. The Sony model 370 had been replaced by model 380 which was virtually identical except it had no RF inputs or outputs and no tuner. To further my shock and dismay none of the VCRs that were available had a tuner! I thought that the tunerless Toshiba was just some cheap model that they were putting out there because more and more people are using satellite which does not have analog cable capabilities like regular digital cable does. Satellite users have to have a separate box for every TV and every VCR (although some satellite boxes are dual tuner). I was now discovering that VCRs with tuners had been completely withdrawn from the market! I did finally find a Sony 370 at Amazon.com for sale through a third-party reseller. Amazon itself did not have it. In our next installment we will take a nostalgic look back at early TV tuners before we discuss the invention of the cable ready TV and VCR. Only then can we fully appreciate the mystery of the missing tuners!